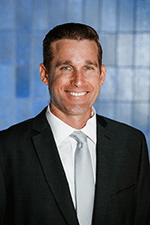 Councillor Kurt Rehbein represents Division 7 on the Townsville City Council. Born in Townsville and raised in Ayr, Kurt’s background includes working five years for the RAAF and ten years with the Queensland Fire and Rescue Service. He is a lover of music and he currently plays in a local well known Guitar Orchestra. He is proud to be associated with the Australian Concerto &amp; Vocal Competition.